Kakurinbo prepares traditional Japanese kaiseki. According to Buddhist philosophies, our menu is mostly plant-based, and it is mindful of local ingredients and seasonality. It leans toward minimalism and respect for ingredients. 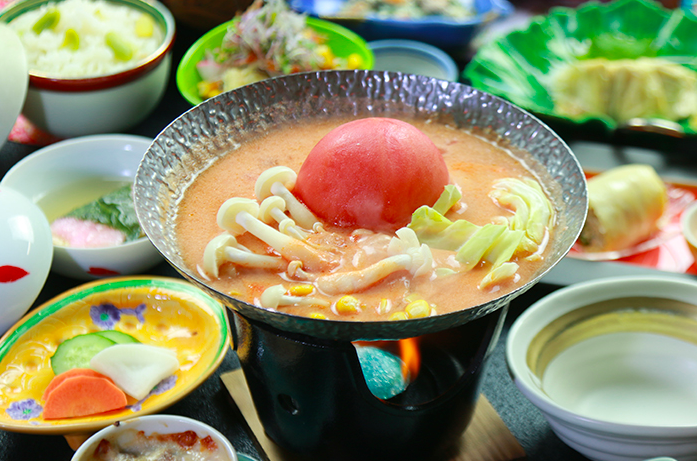 At Kakurinbo, this means that yuba is central to each meal. In addition to dinner service, breakfast is served for overnight guests. For those interested in making a day trip, a yuba lunch course is also available. Our drinks menu is inclusive of locally produced Japanese sake, wine, and sodas.